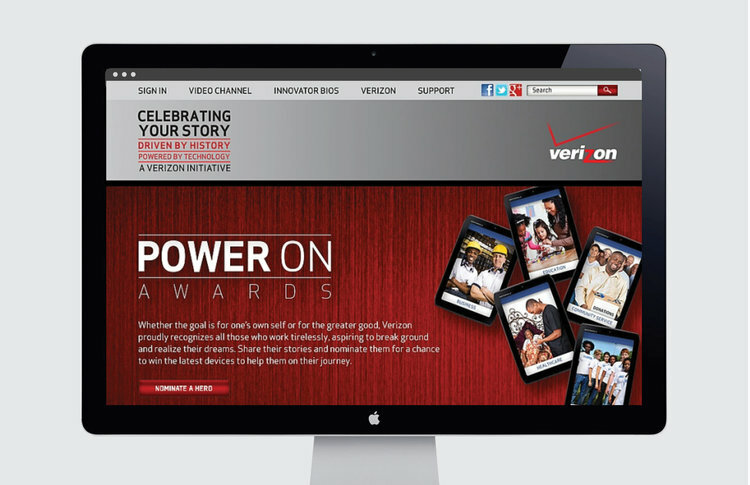 For multiple years, I was the Creative Director for Verizon's Black History Month Initiatives, which included multiple campaigns with Broadcast Television and Radio, episodic online video content including a customized YouTube channel, print advertising, social media postings, a promotion, and more. The African-American luminaries, pioneers and innovators included singer/songwriter Jill Scott, American restaurateur, model, author, and television host B. Smith, award-winning chef, bestselling author and popular public speaker Jeff Henderson, swimmer and Olympic Silver Medalist Maritza Correia, swimmer and Olympic Bronze Medalist Lia Neal, Black Girls Rock! 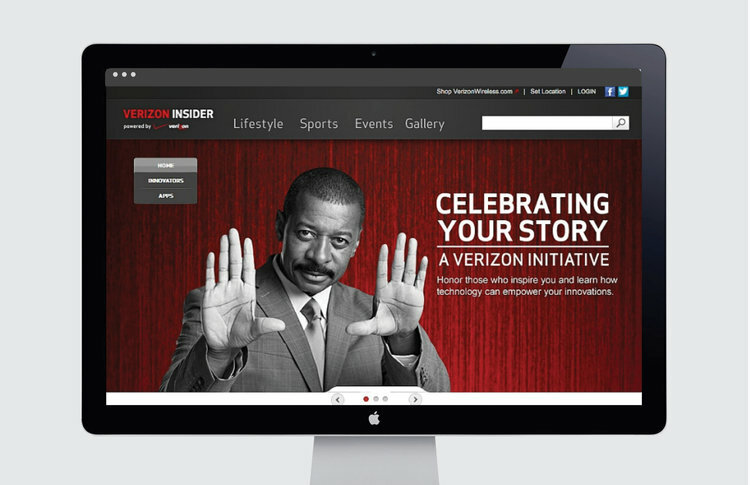 Founder Beverly Bond, the first African American Nascar Race Car Driver Tia Norfleet, Film & TV actor, Laz Alonso, actor, comedian, film director, and writer Robert Townsend and others -- all inspiring viewers with stories of challenge and triumph.